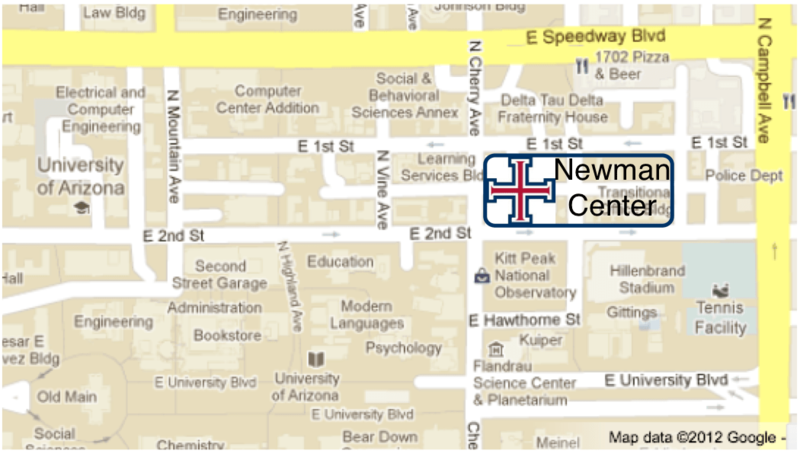 The Newman Center is located on the campus of the University of Arizona at the NE corner of 2nd St. and Cherry Ave. The Newman Center provides parking for Newman Center liturgies and events on Saturdays, Sundays, and weekdays in the evenings. The University parking lot just north of the Newman Center (University Parking Lot #4164) may be used during these times as well. The University Parking Lots are by permit only from 8 AM – 5 PM on Monday – Friday. Parking in the Newman Center parking lot on Monday-Friday from 8 AM to 3 PM is limited to those with a Newman Center parking pass. Temporary exceptions (meeting with a Newman Center staff member, etc.) should be cleared at the Newman Center front desk ahead of time. Applications for the Newman Center parking pass are accepted towards the end of the semester for the following semester. If you have any questions about parking, email newman@uacatholic.org . 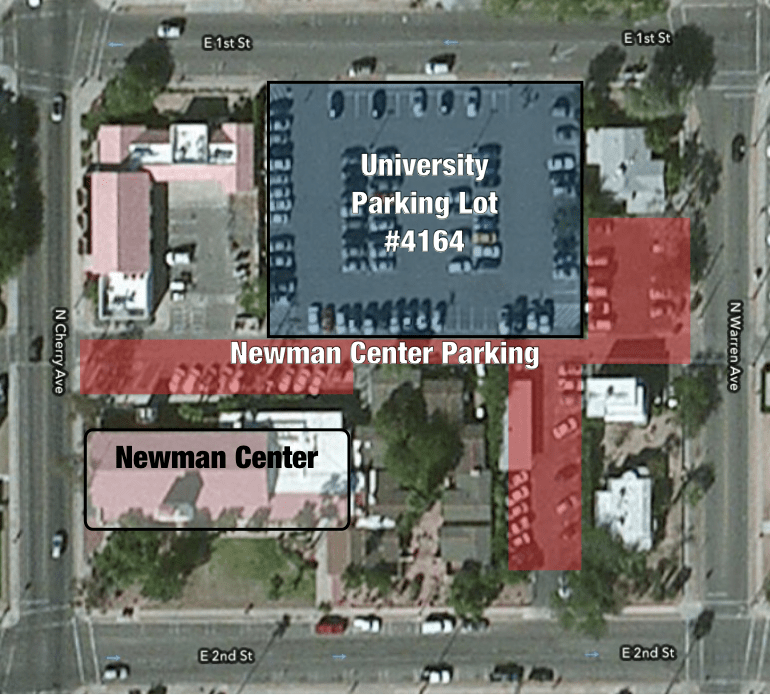 Note: Because of construction, the Newman Center parking lot is only accessible from Cherry Ave. Using the Newman Center parking lot for University sporting events is not permitted, with the exception of football games. The cost of parking during football games is $10, and all funds go towards campus ministry at the Newman Center.